Wondering whether to use wallpaper or paint to decorate your house walls? If you need a specific design, color or style on your house walls, then wallpapers would be the best option. It is very important to note that, nothing will look nice in your house unless your walls are on point. 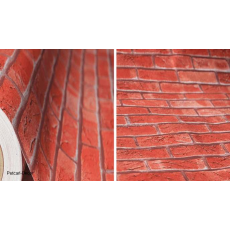 Red brick wallpaper is among the best wallpapers that you would use to make your house look more attractive and beautiful. It is also recommendable to use wallpapers in your if you have small children in your house since wallpapers can stay for long time without getting damages. Wallpaper can last up to 12-15 years without getting damages which makes it cost-effective in long run. The cost of installing wallpapers is also very affordable. Need to apply industrial look wallpaper in your house or office? Petcarl Décor is the place where you can visit to buy what you are looking for.